WASHINGTON — The Japanese American Citizens League (JACL) has named Jason Hata as its new AARP (American Association of Retired Persons) Norman Y. Mineta Fellow. He is assisting with the JACL’s public policy initiatives and leadership programming from the Washington, D.C. office. The fellowship is named for the Norman Y. Mineta, former secretary of transportation, secretary of commerce and congressman, and is funded by AARP and Southwest Airlines. Hata graduated from the University of Southern California with a bachelor’s degree in business administration. He was president of the Southern California Nikkei Association at USC, finance chair of the Intercollegiate Nikkei Council, student welcome advisor for the Asian Pacific American Student Services (APASS) Department, and a teaching assistant for its CIRCLE (Critical Issues in Race, Class and Leadership Education) program. Upon graduation, he was selected for the Order of Troy, an honor bestowed on graduating seniors who excelled academically while dedicating themselves to leadership. 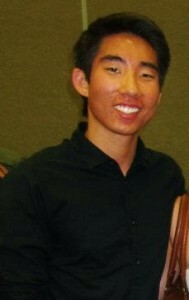 Hata is also the winner of the JACL’s Minoru Yasui Oratorical Competition at the 2012 National Convention in Seattle. Hata held a seat on the Little Tokyo Community Council as the external vice president of the Southern California Nikkei Association. He also worked as a camp counselor for the JACL’s Camp Musubi Program in Little Tokyo and interned at the Japanese American Cultural and Community Center (JACCC). Through this internship, he was able to visit each of the three historical Japantowns in California (Los Angeles, San Francisco and San Jose) and attend the 2011 JACL National Convention in Los Angeles. He is excited to work with the JACL in the nation’s capital to utilize his experiences within the Japanese American and Asian American communities.